Last month, I was invited to a pot luck party, and was trying to narrow down all of the yummylicious things I could bring that were easy to travel with, didn’t require reheating and would be a crowd pleaser. I decided on these little gems, and they were a hit… not a single one was left. 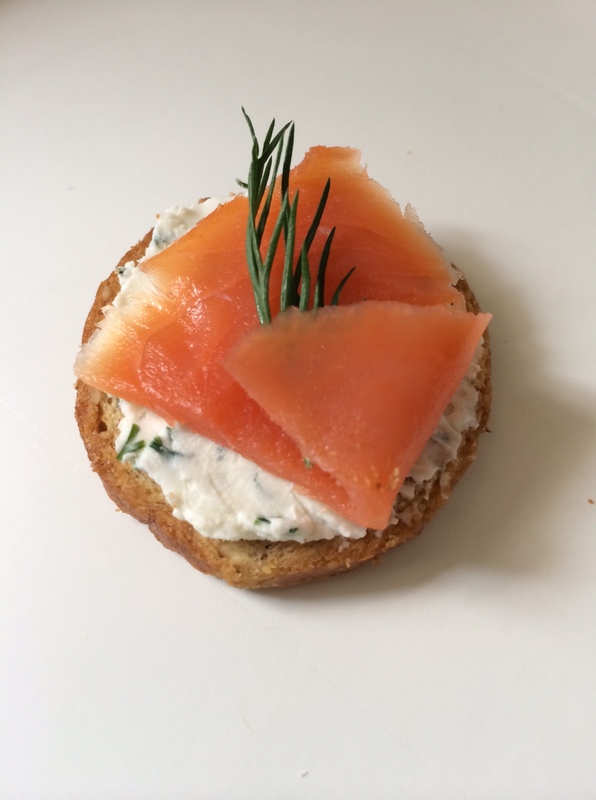 Personally, I think dill adds a nice delicate flavor to the cream cheese mixture, and pairs incredibly well with salmon. The recipe I initially saw for these, called for using a loaf of sourdough bread, but I decided to use whole grain melba toast rounds which worked perfectly, and saved time from having to bake the bread. These tasty treats are incredibly easy to make and throw together in no time, and will be a huge hit with all who try them. If you want to cut down on carbs, or simply desire some variation, you can use cucumber slices instead of the rounds or crackers. In a small bowl, combine all of your spread ingredients: cream cheese, greek yogurt, minced garlic, freshly chopped dill, lemon juice and salt & pepper. Mash it all together with a fork, and mix until well blended. Spread the cream cheese mix over the top of each melba toast round or cracker. 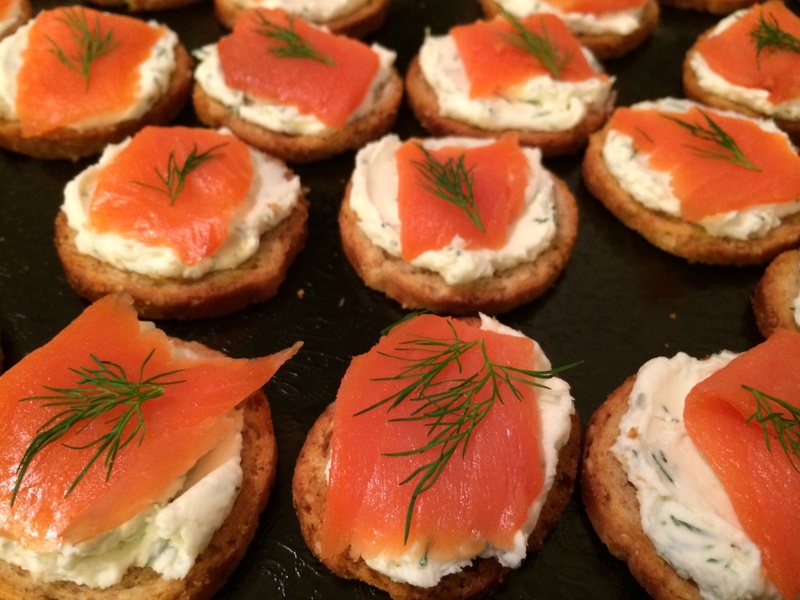 Top with a piece of salmon and garnish with dill sprigs. 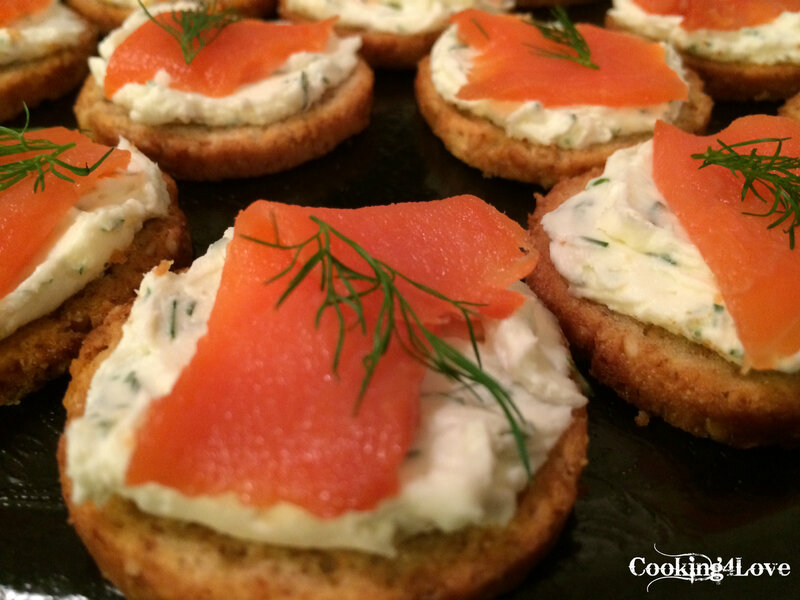 This entry was posted in Appetizers, Recipes and tagged appetizers, cream cheese, crostini, dill, greek yogurt, smoked salmon, snacks. Bookmark the permalink.